When the human body gets sick, it fights the infection with special proteins called antibodies. After the virus or bacterium is broken down, the body retains those antibodies to help prevent getting the same illness twice. Obviously, this isn’t the best way to develop immunities to deadly infections, since your body may not create the right antibody. Despite the controversy surrounding vaccines, they save millions of lives each year and have minimized many fatal illnesses in developed countries. Here’s a look at why your child needs vaccines, where to get them, and when to expect them. Why are Vaccines Important for Infants and Toddlers? Vaccines are substances that simulate disease-causing microorganisms so the body can create protective antibodies in a controlled environment. Administered in injection, pill, or aerosol form, they are constructed from weakened or deadened forms of infectious microbes. This allows the body to produce antibodies without actually contracting the disease. Yet, it still develops an immunity to it. Children's immune systems lack the strength to fight off the kinds of infections that vaccinations protect against. The seriousness of these infections means that it is incredibly important that vaccinations be administered as early as possible. Infant mortality rates in well-developed countries are low not because certain germs don't exist there, but because of widespread vaccine use. Vaccinations are as much about personal safety as they are about protecting a community. 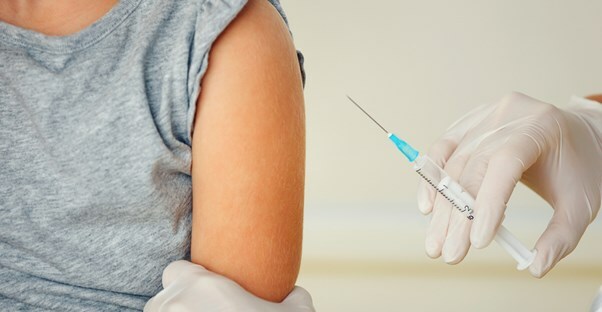 While there are no federal laws requiring children be vaccinated, many school districts need proof of vaccinations before children are allowed to enroll. Between birth and four years, there are more than 30 vaccinations children need to be safe. The schedule may seem intense, but it ensures immunization happens before a child comes into contact with dangerous pathogens. Ofregnant mothers receive vaccinations as well, as diseases like whooping cough can be fatal for infants too young to be vaccinated. Other members of the household or people who will be around baby frequently should also be vaccinated. The first hepatitis B vaccine will be given at birth, while the several more will be administered over the next 15 months. The first year and a half of vaccines includes hepatitis B, rotavirus, diphtheria, pertussis, tetanus, and polio. As well as different types of influenzas, measles, mumps, and rubella, varicella, hepatitis A, and pneumococcal vaccines. A pediatrician’s office can help you schedule an appointment to administer vaccinations, as well as answer questions and provide a well baby checkup. In lieu of a pediatrician, local health departments and clinics will administer vaccinations. Allergic reactions to vaccinations are rare, but any licensed physician who administers them is prepared to deal with any complications safely.